This is an unused NOS item but is not in mint condition, so we are listing it as used. Excellent condition but has a few minor superficial scuffs from storage over the years. 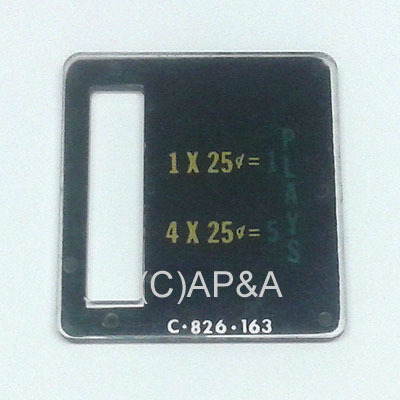 Plastic price plate for coin slot entry. Used on older Bally pinball games from early 1970s through early 1980s.